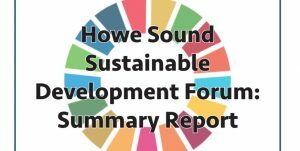 This report provides an account of the Howe Sound Sustainable Development Forum which took place September 28th, 2018. It will provide an overview of the presentations, discussions and conclusions that were presented throughout the forum. The Howe Sound Sustainable Development Forum was hosted in collaboration by Howe Sound Biosphere Region Initiative (HSBRI) and the British Columbia Council for International Cooperation (BCCIC). 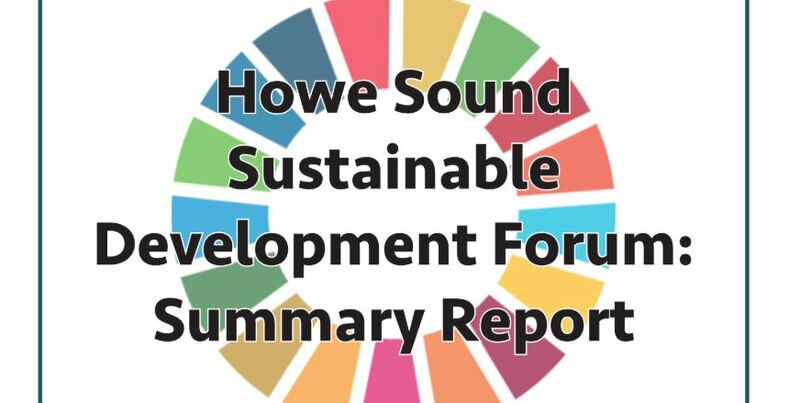 The forum was used as an opportunity to discuss leadership on sustainable development in the Howe Sound through the lens of the United Nations Sustainable Development Goals (SDGs). The day involved hearing from local government and civil society leaders regarding the kind of sustainable development issues and leadership at play in the Howe Sound. Twice throughout the day, small group discussions addressed important questions and provided feedback to the entire group.